Courier service company DTDC Express Ltd has picked up 20 per cent stake in logistics solutions startup Shipsy for an investment of over $1 million. Shipsy had raised angel funding from Dheeraj Jain, managing partner of Redcliffe Capital, in September last year. The investment from DTDC will be used to strengthen its technology infrastructure besides building on the solutions offered, Shipsy said in a statement. "DTDC's investment in Shipsy would go a long way in helping itself adopt disruptive technologies in its future growth segments of e-commerce and e-fulfilment," Abhishek Chakraborty, executive director of DTDC Express said. Shipsy joins a long list of logistics startups that have raised investor money in recent times. GoodsOnMove, an on-demand logistics aggregator for relocation and trucking services, is in advanced talks with potential investors to raise seed funding. Ventures such as Moovo, BlackBuck, TruckMandi, theKarrier, The Porter, Rivigo, Grab and Blowhorn have raised VC funds. Shipsy, run by Llama Logisol Pvt Ltd, was founded by a group of IIT Madras and IIT Delhi alumni - Soham Chokshi, Dhruv Agrawal, Maharshi Devraj and Himanshu Gupta - in June 2015. The Gurgaon-based startup initially operated as a C2C logistics company, delivering parcels with its own fleet of riders locally and had tie-ups with other logistic providers for inter-city services. However, ever since Jain came on board as an angel investor, it pivoted its business model to create platforms for data-driven decision making for enterprises in the logistics sector. 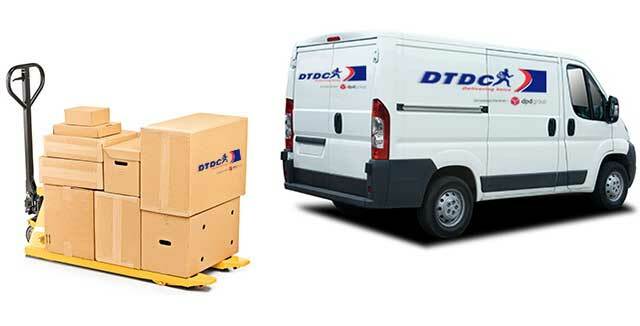 The objective is to eliminate inefficiencies in the existing logistics platforms of logistic companies. The association with DTDC is expected to help Shipsy ensure stability in revenues and achieve break-even within the next financial year. "With the traction growing at a very fast rate in the platform business, Shipsy would be moving away the C2C operations in the medium term to focus on building its position in the enterprise space," Chokshi said. Even as Shipsy moves away from the cash burning C2C deliveries business, a bunch of tech startups have come up, connecting logistics services providers with customers for intra-city and inter-city transport and relocation services in the recent past. These ventures are asset-light and do not own the vehicles themselves and come across as booking platforms, similar to taxi hailing apps Ola and Uber.